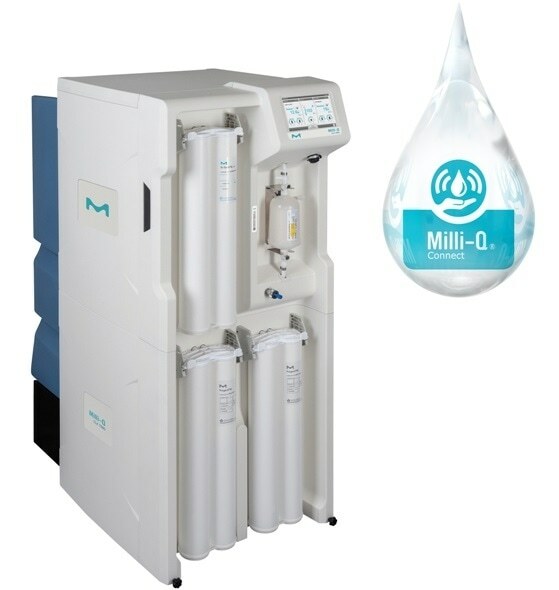 MilliporeSigma today announced a new cloud-based, remote lab water service and monitoring capability available on all Milli-Q® CLX 7000 clinical water purification systems. The Milli-Q® Connect online service portal provides digital access to water and system data, allowing users to monitor lab performance remotely and securely. The Milli-Q® Connect system turns passive data into active, actionable information that is available remotely at any time and from anywhere. This provides a savings opportunity by streamlining the production of quality reports, which can be produced in minutes. 24/7 productivity – Remote access from anywhere at any time to view real-time system information and water quality data. Maximal uptime – Immediate and customized notifications; remote access and control of the water system from a secure online portal. Saving time – Remote diagnostics, and potentially repair, available directly through web-based portal. Easier data traceability – Automatic data backup and rapid retrieval via Milli-Q® Connect platform simplifies audit preparation and lab accreditation. MilliporeSigma service personnel have highlighted the value and convenience of the remote diagnostics and assistance feature of Milli-Q® Connect. For more than 50 years, Milli-Q® ultrapure water has been used by researchers and scientists worldwide.